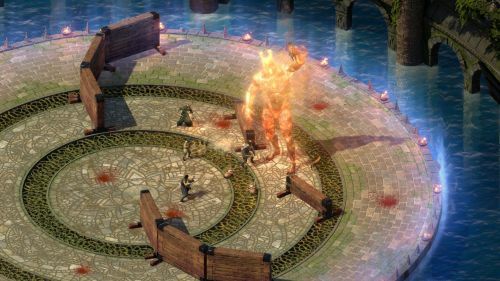 As you might expect, Obsidian have published a Pillars of Eternity II Fig update about the game's upcoming Seeker, Slayer, Survivor expansion DLC for those who missed its reveal at PAX West this weekend. Screenshots, some brief details, the usual. In the slightly nearer term, the update also announces a date for the 2.1 patch, which will be adding the god challenge modes described in last month's update. As I recall, those were supposed to be out in August. 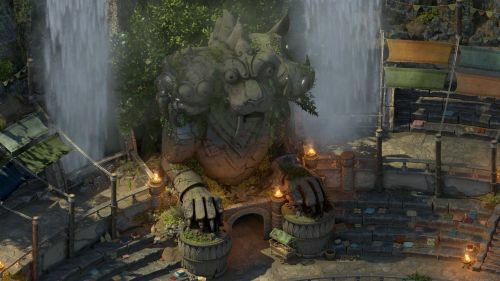 Instead they're coming on September 11th, just two weeks before the new DLC - which is supposed to be accompanied by another patch adding two more god challenge modes. Will Obsidian be able to meet their schedule? Abydon - The more you use weapons and armor, the more they will wear down and become "Damaged". This modifier will make them progressively worse and eventually destroy them, unless the mods are removed through Enchantments. Choose the items you will wear into battle wisely! Skaen - With Skaen's challenge, when indoors or at night, fog of war encroaches more. Torches and lanterns can partially offset the additional fog of war, but only a little. It seems there's been some confusion here. I'm pretty sure the first Mega-Boss is also supposed to come out alongside the new DLC, meaning this month. This is what happens when you fall behind schedule!